Living in Florida, there is no greater relaxation than lounging around the pool on a hot day. Swimming pools are also a big asset to the value of our homes. Bad compaction, poor construction, leaking drains, and water runoff are all contributing factors to your deck becoming uneven and cracking. Using our state of the art mobile unit and NSF approved foam, we are able to seal off existing cracks, compact any loose soil, fill voids left by leaks and re-level your slab to its original grade. This process involves no mess, no down time, no noise, and is more economically sound than having sections of concrete removed and then replaced. All re-leveled sections are the original concrete so everything will match in color and texture. The only evidence that any repair was conducted in that of a dime sized hole that is virtually unnoticeable and will be patched. 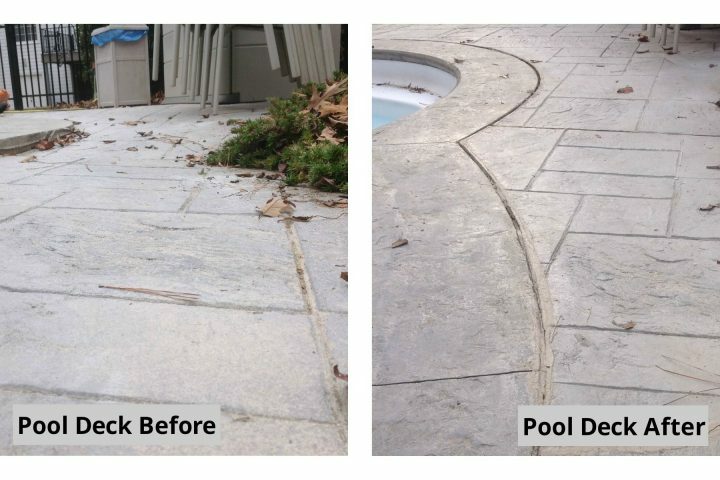 We also offer pressure washing and paver restoration, which can really add to the beauty of your pool deck or lanai. Please contact us for a FREE estimate.